– Students are expected to arrive promptly to class, dressed in the correct uniform with hair tied back(see uniform requirements). – All students, staff and parents are expected to be treated in a respectful matter. There will be no tolerance of verbal abuse, bullying, or disrespect to any member of the Studio A family. – We are a nut free environment, please refrain from sending snack with peanuts, or tree nut products. – Students please bring water bottles, drinking water is provided, as we are trying to stay as eco-friendly as possible. – ATTN:PARENTS We want to provide the best learning environment for your children. We would be happy to address your questions, comments and concerns, or discuss your child’s progress at a mutually beneficial time. Class times do not allow for this, as it takes away from the limited teaching time available. 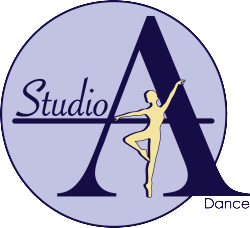 Please contact Amy via email amy@studioadance.ca , or by phone 613.884.8557 to make an appointment. – There are no make-up classes for classes missed by a student. – There are no make-up classes in case of disruption due to power failure, fire alarm or similar circumstances. – Please note that any photos or video taken at the studio may be used for website or print ads. – Cheques can me made payable to Studio A Dance. – No refunds will be issued after the start of Term. A trial class fee of $15.00/class will apply to any students wanting to try a class before committing to a term. If continuing, the trial class fees will be deducted from the term rate. The Registration fee is non-refundable. – Exam invoices will be sent in December, Please pay promptly to ensure registration in the examination session.